Chapoutiers latest release of Occultum Lapidem is a wine of immense stature - certainly impressive but also highly enjoyable. 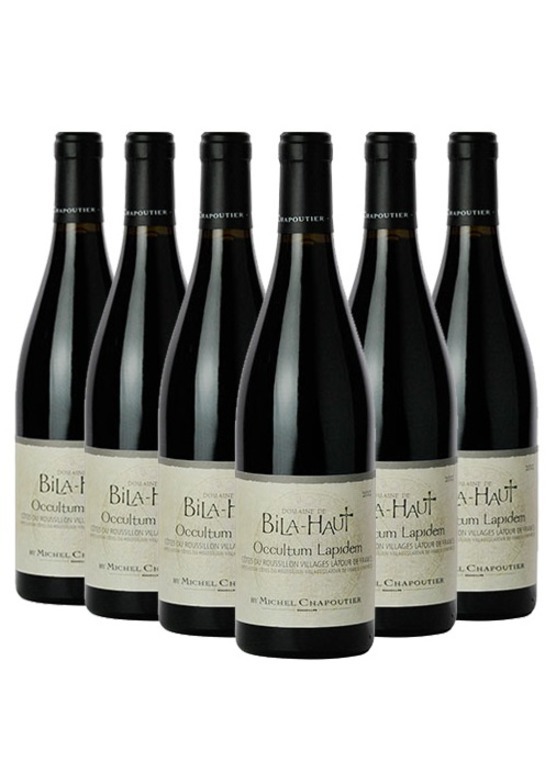 This is clearly a particularly strong vintage for the Bila-Haut estate we have been enjoying the everyday Roussillon for sometime, but the Occultum Lapidem, made from 60 year-old vines is a significant step up, and has received an impressive 93-95 points from southern-France specialist Jeb Dunnuck. It is deep, dark and brooding in the glass restrained at first on the nose, but gradually becoming more perfumed, with aromas of violets, provençal herbs and an intense, almost sweet cassis and dark cherry fruit. Strikingly fresh on palate, with a luscious fruit coulis character. Structured and complex, with a whole smorgasbord of flavours concentrated blackberries, gingerbread and exotic spice. So warm, supple and moreish, with a touch of smokiness and roasted meat, rounded off with a twist of dark chocolate and coffee. Very appealing weight powerful certainly, but without hard edges. Fantastic quality very hard to resist now, but will develop over the next 8 years. UB* - Under Bond This wine is available En Primeur. The price shown is not inclusive of UK duty and VAT, which is payable at the prevailing rate (on publication duty was £25.98 per case of 12 x 75cl bottles, plus 20% VAT) upon delivery from bond. Wines will be shipped late April 2018 and we'll contact you once they've arrived. You will have the option to take delivery, or keep your wine in professional storage. View all wines by this producer. This wine is also available duty paid.